Caleb will need to muster all his strength to take down the mighty Tchernobog, who has managed to free himself from the grip of death. 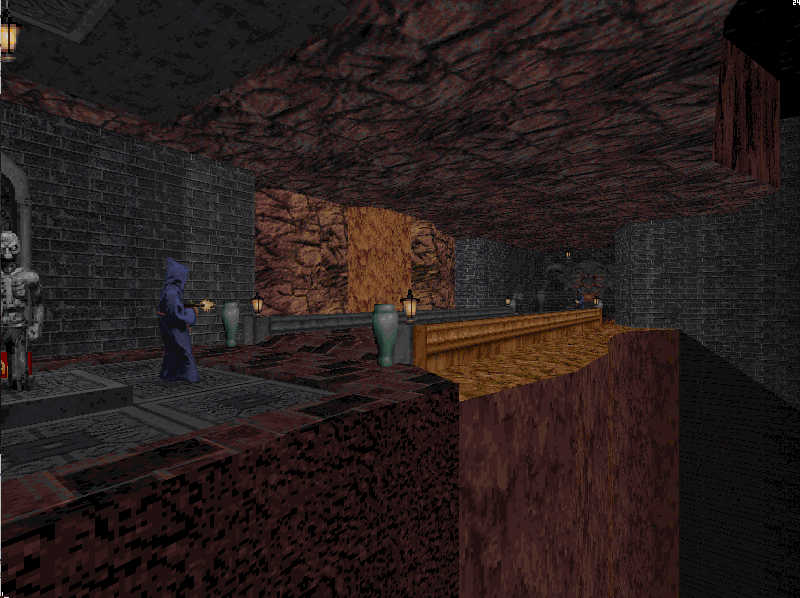 Death Wish is a new campaign for Blood with over 30 new levels, cut scenes, and more. All levels have been modified for Co-op play. The entire mod was developed by a single mapper, ensuring consistency and quality. Death Wish 1.5 is out now! Death Wish for Blood has been updated for 2018! It's Halloween again and this year I have a treat for Blood fans! With BloodGDX making Co-Op and Bloodbath in Blood easier than ever, this update adds improvements for singleplayer, Co-Op, and even adds some Bloodbath (deathmatch) levels. 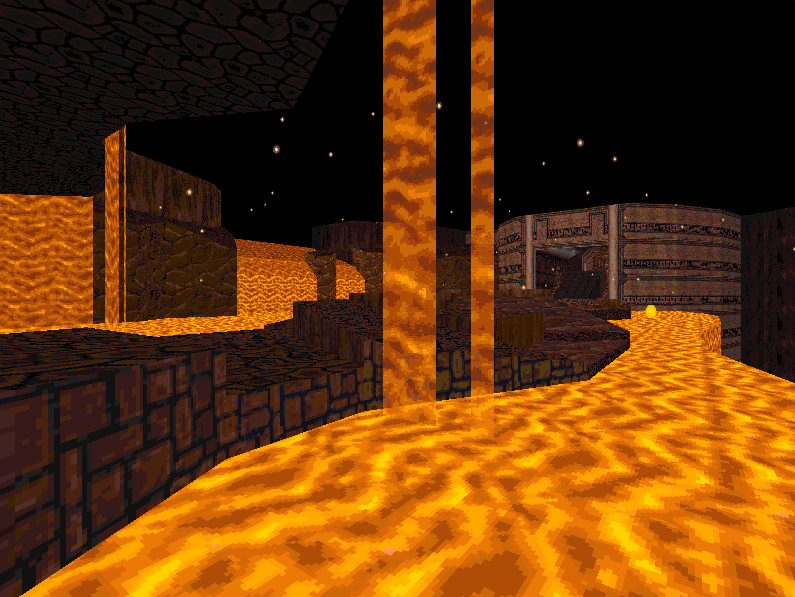 All maps can support up to 8 players at once for both Co-Op and Bloodbath. Singleplayer v1.5 Upgrade aka "Cutting the Fat"
Most of the singleplayer changes this time around aim toward a better overall gameplay experience by trimming out anything tiresome that artificially extended playtime. There's been an enemy/ammo rebalance so that players won't be fighting so many mobs and groups of enemy respawns unless it's intended. In the same spirit, backtracking was cut down in many places to keep things from getting monotonous. 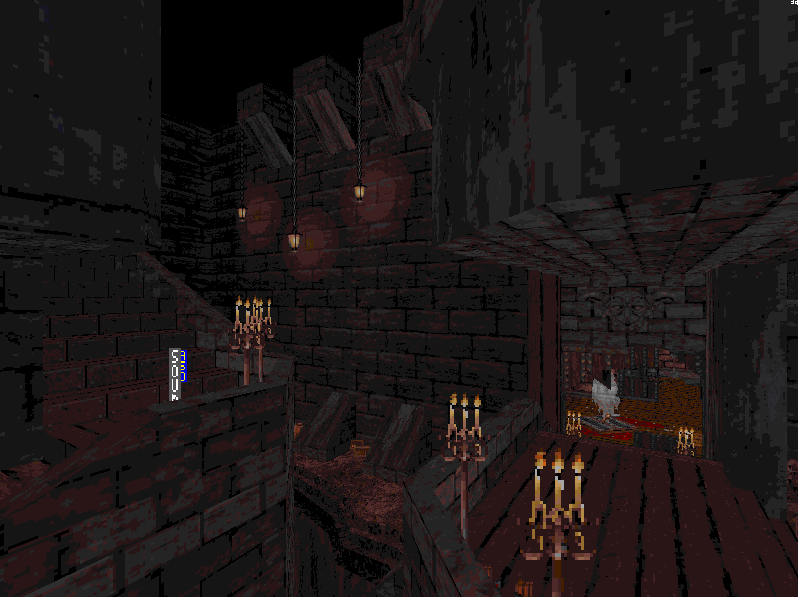 Of course, a lot of levels received a facelift, too, so this will be the best-looking version yet! If sector limits allowed, a few of the more drab sections got a visual enhancement. 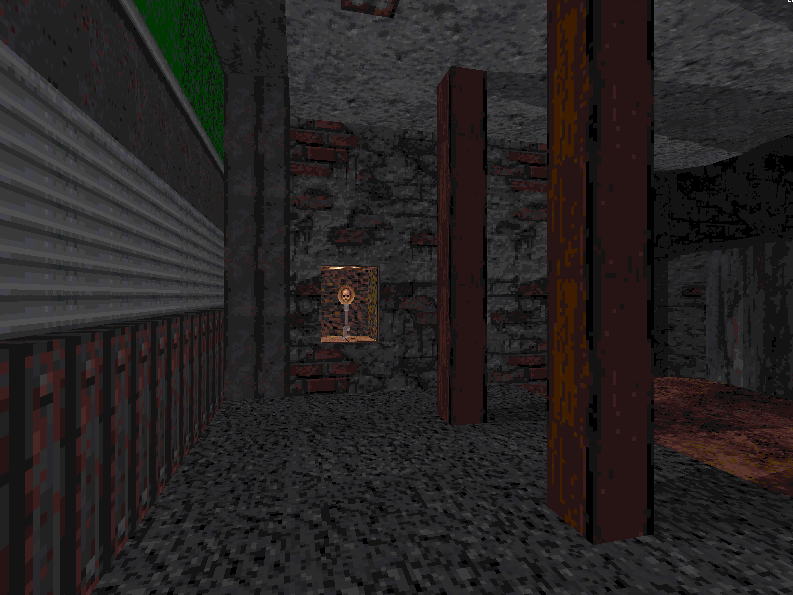 In addition to the window light addition, you can now sneak around the side and enter/exit through a hidden window. Some levels, like Spooky World's Haunted Mansion (dwe1m9), got a lot of changes to make them more visually appealing and fun to traverse. Now there's more variety and less focus on fighting tons of baddies for the mansion key. 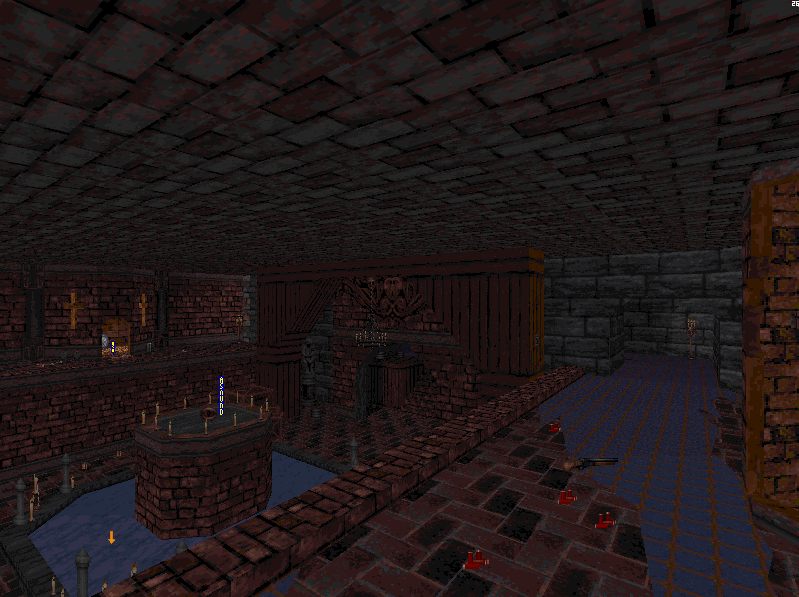 This underground area that houses a Cerberus now features bridges and larger hallways to keep it from getting stuck. Some sections are also laced together so you won't face a dead-end if you're running away. 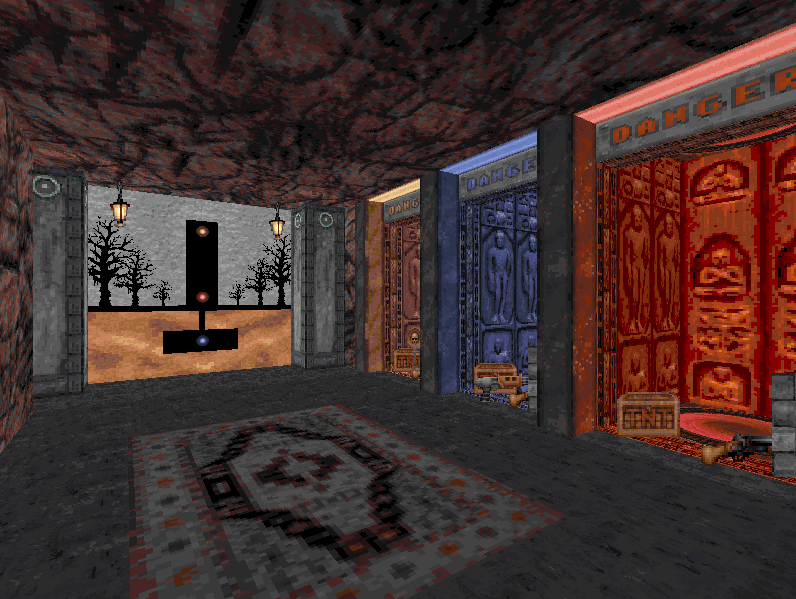 This room used to spin around on its own, revealing different doors every few seconds. This turned out to be really annoying, especially if you're in a hurry, so it was replaced with a new system where the player controls the rotation. Even if someone rotates the room in Co-Op while you are past a door, each doorway features a rotation switch so you can never get trapped. 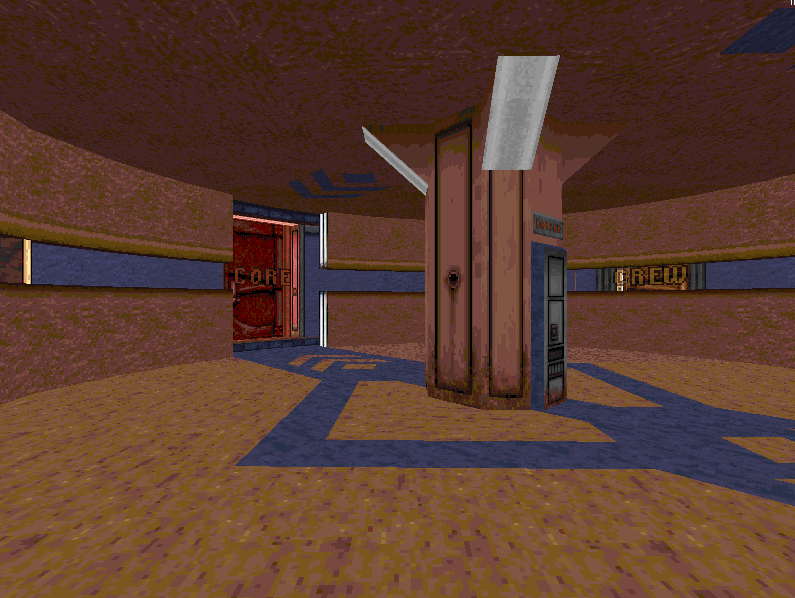 A few levels have teleporters that open up to eliminate moving by foot to old locations. Keys / Items that trigger events will not trigger the event again if that item respawns, which can get pretty annoying in multiplayer. Certain collectables that unlock pathways, like the Black Boxes in DWe2m6, are set to never respawn. Keys like this one will appear in Co-Op when the original is made unavailable, so you'll never get stuck if a keyholder bites the dust. Doors that block player backtracking will eventually reopen to allow teammates who were left behind to catch up. 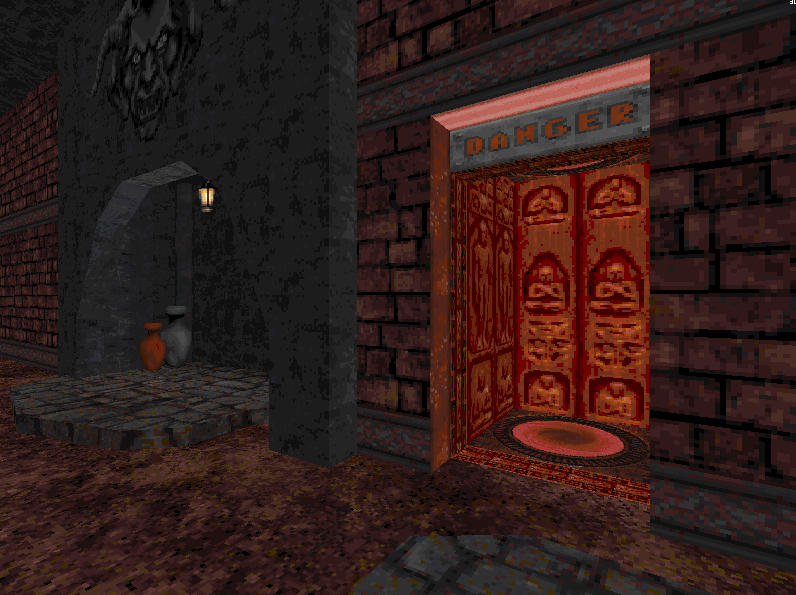 Even if the door/wall does not reopen, a teleporter or spare key will be revealed. This also solves the problem of teammates who perish while holding a key that is now unreachable by others. If someone runs ahead and locks up an area, a teleporter will open nearby to let trailing or respawned players back into the action. 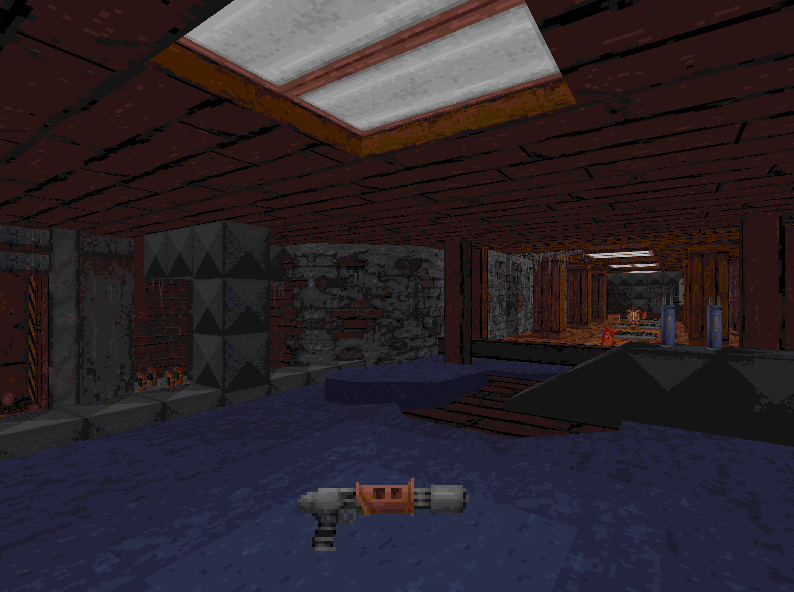 DW1.5 has a checkpoint system wherein reaching certain points in a mission will open up a teleporter or teleport-station near the player spawn-point, allowing teammates who are killed to return to the action quickly. These are available outside of Co-Op for people who like exploring back to the beginning of the mission, but the messages signaling a triggered checkpoint will only appear in Co-Op. Checkpoints like this open up to allow respawning players to catch up. 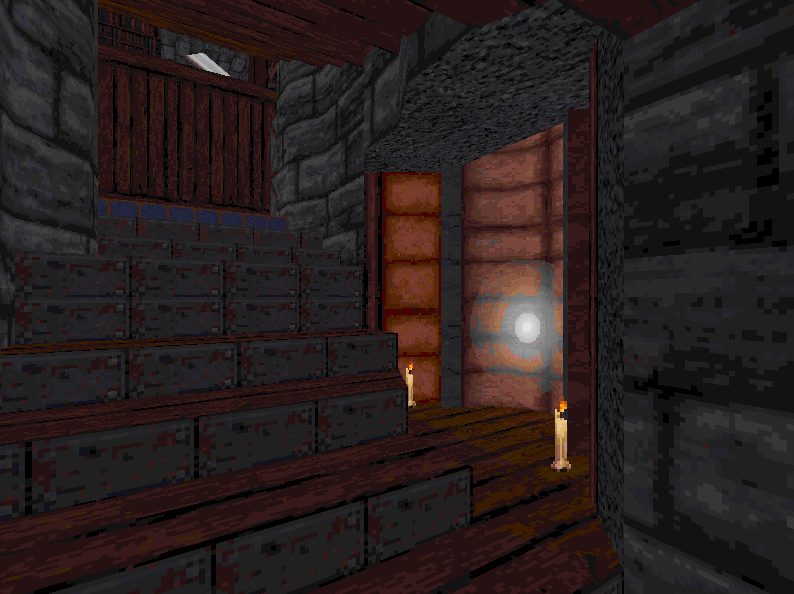 Most are equipped with weapons or required keys so that you can still access old areas after using a checkpoint. 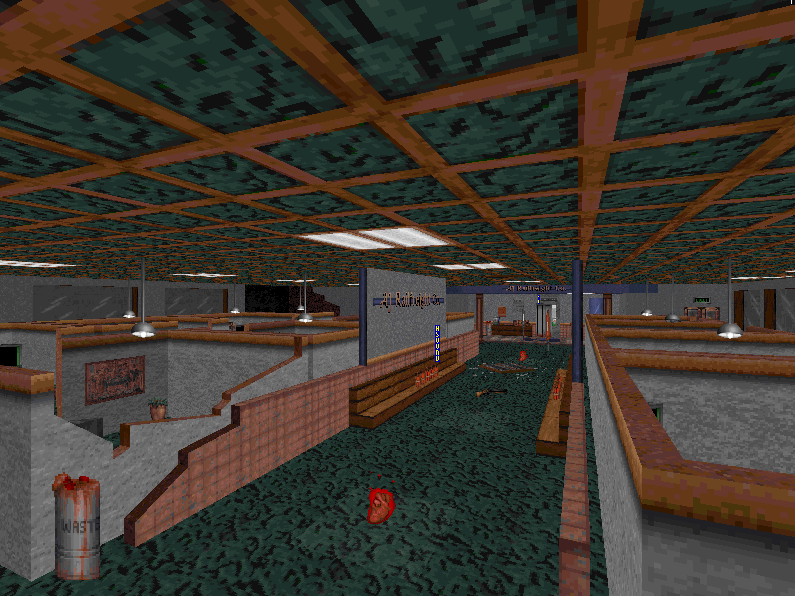 For some missions, the checkpoints are clustered into a depot where you can access multiple areas. 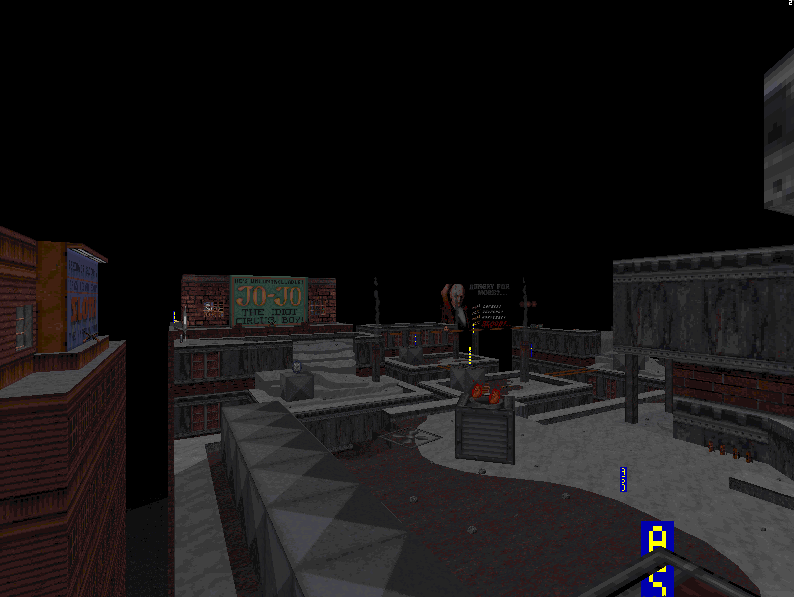 Death Wish v1.5 adds 3 Bloodbath maps, created by modifying some of the singleplayer missions. Office Space, for a small number of players. Rooftop Rumble, for a small–medium sized group of players. Castle on the Coast, for a medium–large sized group of players (unless 2 or 3 people want to play hide-and-seek). 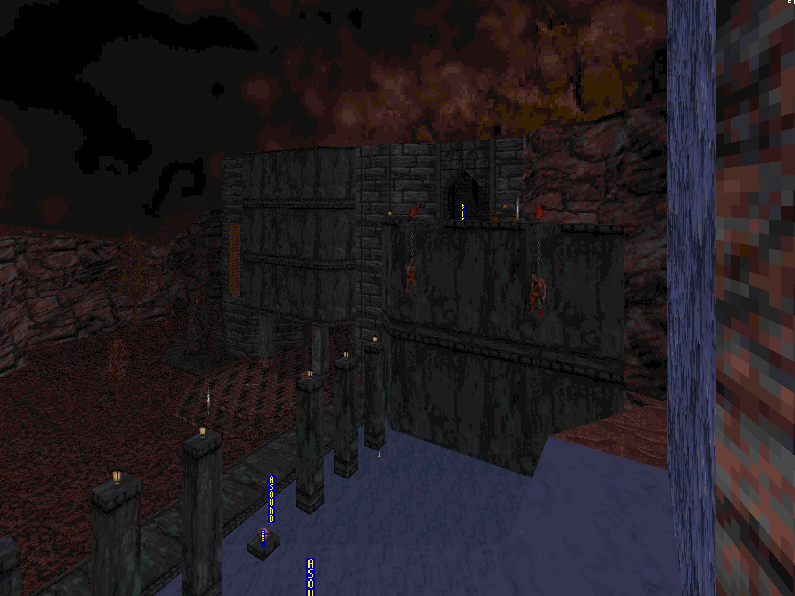 This version sports a lot of differences from the singleplayer version so that it's easier to move quickly from one side of the castle to the other. That's all for now! 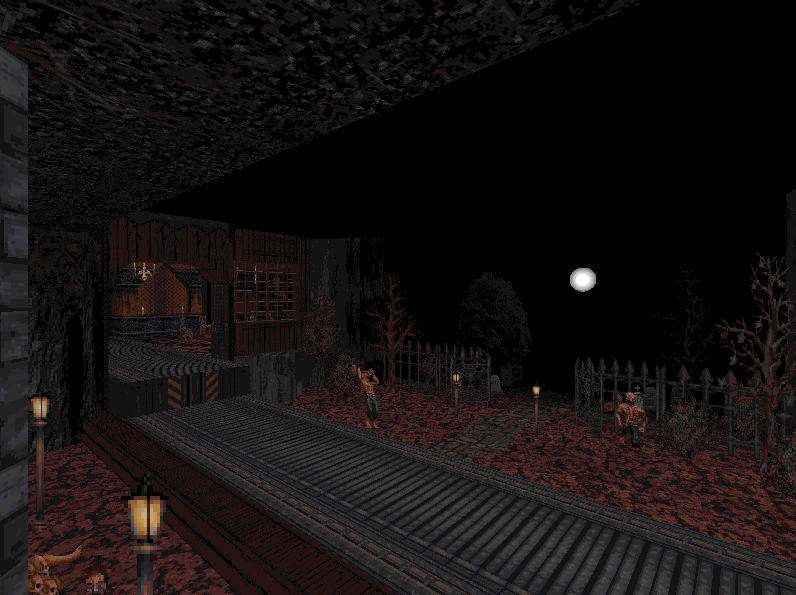 Grab Death Wish now and start your Halloween off the oldschool FPS way! Death Wish 1.5 for Blood out this Halloween! 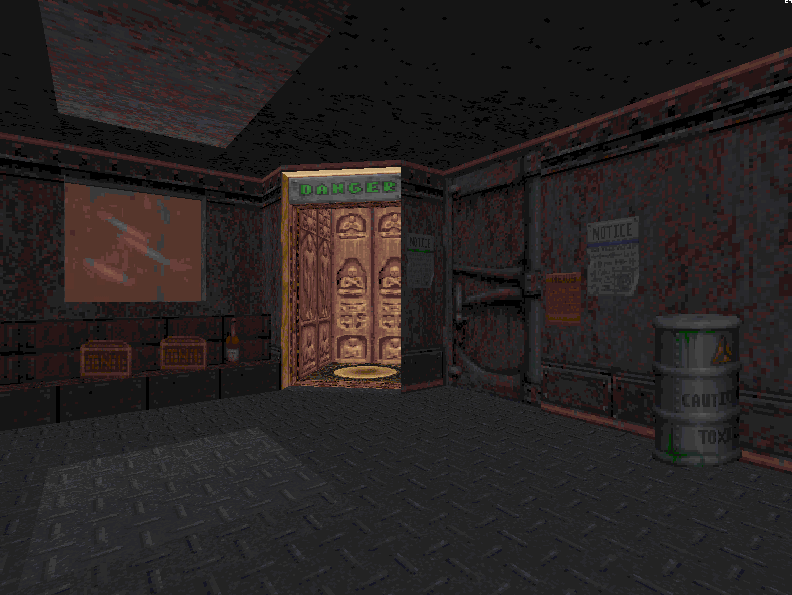 Death Wish 1.5 for Blood will be released at the end of the month, just in time for the spookiest day of the year. Death Wish 1.5 for Blood is coming soon! This update has some level touch-ups and lots of changes for a better multiplayer experience. 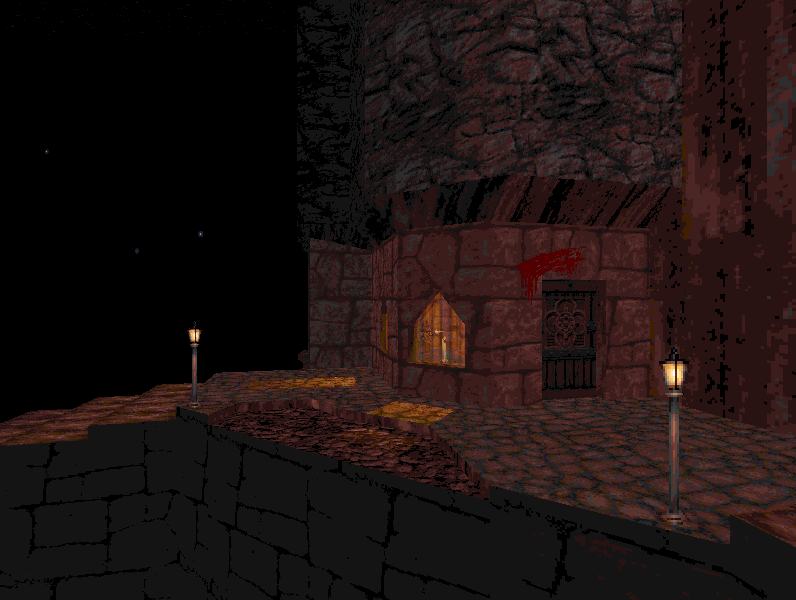 Death Wish v1.4 for Blood Released! Death Wish v1.4 for Blood is now available! Get the latest version of this huge content expansion with new and improved level design, gameplay, and more. How to play DeathWIsh in BloodGDX ?I forgot. You have to select User Content then pick out dw.ini from the list. Latest v1.5.10 has an issue in E3M9 "Nightmare" when you try to lead a summoned Gill Beast across a platform to open a nearby gate. Apparently it's an issue with the updated map since v1.5.9 worked fine according to other users (couldn't check it by myself). That "puzzle" doesn't exist in the latest version. Some people were getting that error suddenly (and it only seems to happen in GDX) so I removed it while making other edits. I've got the levels into BloodGDX just fine, but is there any way to play them in proper order (e.g. DWE1M1 > DWE1M2 > etc. ), automatically, keeping weapons/health/etc. 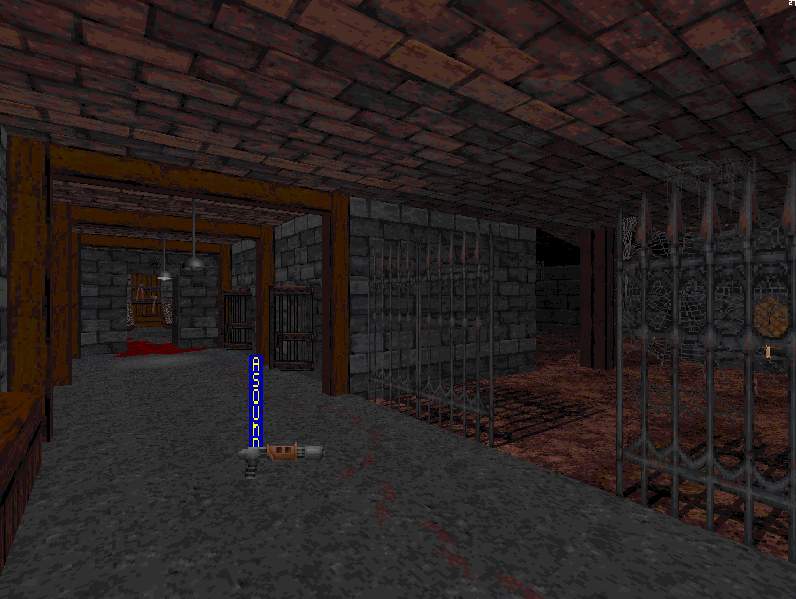 in BloodGDX, or am I just going to have to load each level manually? For reference, or just for anyone else who can't figure it out in the future, you go to the user content option then select DW.ini. Then you can select your preferred DW episode from there. Is it true that there is a difference in cutscenes in this mod? The latest version seems to have less exposition. While that's something a lot of people might prefer, I always thought they were neat and impressive to see. Yes, the 1.4 build has new cutscenes that are much more succinct. Out of the 30 levels I think there maybe only 1 or 2 I didn't like as much. Otherwise it's solid all the way through. There is an amazing variety of environments all with different well executed atmospheres and interesting well thought layouts. Gameplay is always fun and health-ratio is pretty much perfect in every map. 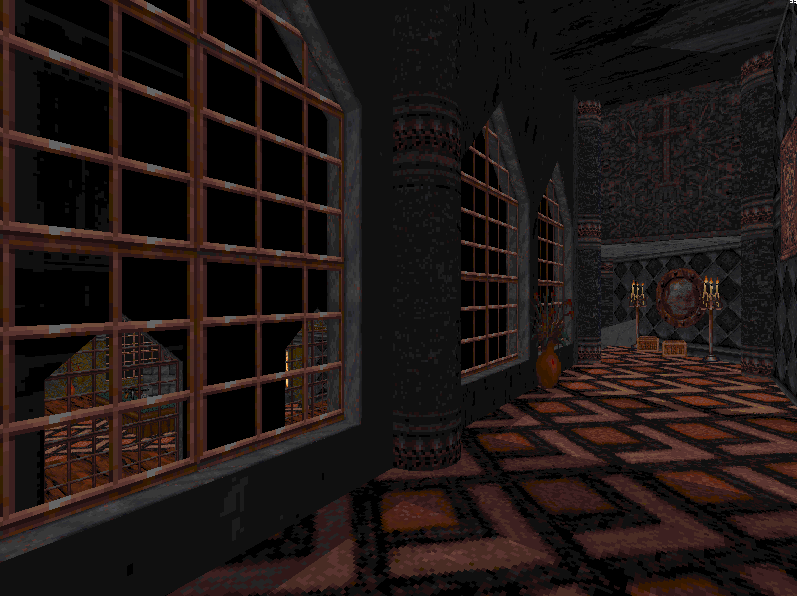 There is also some neat effects here and there and tons of secrets to find in each level. A must play for any fan of Build engine games.